Chiropractic care can be an important part of pain management and health care. Does Medicare cover chiropractic care, though? After all, Medicare does have limits and many people know all too well that it does not often cover more unconventional treatments, which includes treatments like acupuncture chiropractic care. The bad news is that Medicare generally does not cover chiropractic care. However, that is not the whole story. In the case of chiropractic visits, Medicare deems subluxation, and only subluxation, a condition where chiropractic care is medically necessary. Subluxation is a condition where one or more of the bones of your spine are out of position. It is associated with pain in the back and neck, usually creeping up over time, as well as headaches. How painful spinal subluxation is can vary greatly, from minor discomfort to pain that disrupts ordinary function. Subluxations can occasionally be so painful that it makes it hard to move. Sufferers may start to notice stiffness and inflexibility, which is made worse by being in too much pain to really exercise and stretch out muscles. 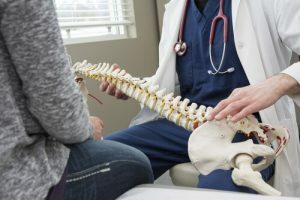 In some cases, you’ll need to get a doctor to formally proscribe chiropractor visits as a part of your treatment to get Medicare to cover it. With Original Medicare a referral is not required but if you are a member of a Medicare Advantage plan a referral may be required. Your chiropractor alone cannot make this decision. Medicare will only cover the actual chiropractic treatments, not any X-rays, massage therapy, and acupuncture recommended by your chiropractor. Medicare will only cover a limited number of treatments, which may be less than your doctor and/or chiropractor recommend. You should also make sure that your chiropractor is Medicare-certified, as not all of them are. If they aren’t, Medicare will not be paying for your treatment. If Medicare does pay for your treatment, it will cover 80% of the cost, while you will owe the remaining 20%. Medigap insurance may cover this remaining portion. Medicare Part B covers only Chiropractic care for subluxation, but if you have a Medicare Advantage Plan (Medicare Part C), your plan may cover a broader range of chiropractic services. You’ll need to check your plan to see what its terms are. Medicare is extremely limited in what it will cover for chiropractic care. The few ways you will find it covers is if you have a subluxation or have a Medicare Advantage Plan. Contact BGA Insurance Group for definitive answers about what your plan covers, and whether or not you could save money under a new plan!